From Saint George and the Dragon to Puff the Magic Dragon and Cressida Cowell’s modern-day book series, How to Train a Dragon, the lore of dragons passes from one generation to the next. Fearsome, magical and majestic they still have the power to thrill us, scare us and entertain us. 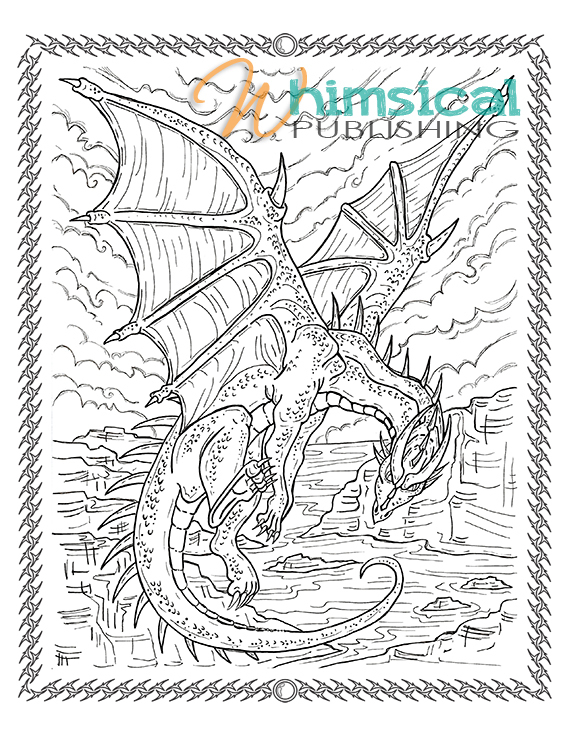 At Whimsical Publishing, Micheline and I are really excited to breath new life into the iconic dragon with our new colouring book, Whimsical’s World of Dragons. Designed to delight and inspire, artists Micheline Ryckman and newcomer, Hayden Wolf, will also include a step-by-step guide to budding artists and dragon enthusiasts everywhere to create and colour their own magical creatures. We’ve included a sneak peek inside the book below. Details of how you can win a copy of our new colouring book – due out this fall – will follow soon. While you’re waiting for our new release check out our FREE colouring pages!